KIEV, Ukraine -- The Ukrainian government has expressed its "disappointment" at the decision by the United States Trade Representative (USTR) to place it on a piracy watch list at a time when seizures of pirated digital media in the country have gone up five-fold. Ukraine is now a Priority Foreign Country (PFC), according to the USTR's "301 List", a decision Ukraine's Deputy Prime Minister, Konstantyn Gryshchenko, said "ignores the efforts of the Ukrainian government" in improving the legal framework and enforcing intellectual property rights (IPR). But despite his disappointment he said his country will continue efforts to improve its standing in the area of IPR. "Just this past month we have closed two internet portals used to distribute unlicensed content and we are introducing into the Verkhovna Rada (Parliament) two separate bills that will, among other things, increase penalties for copyright infringement," he said. "Of course we will work with the United States and other nations in this area but I have to say today's disappointing decision is not conducive to such cooperation." 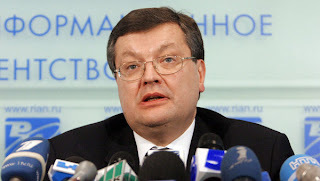 Gryshchenko said his government has also empowered the country's Prosecutor General to oversee observance of intellectual property rights in government ministries and departments. There is also UAH100 million (USD12.35 million) set aside to ensure all state-owned computers operate legal software. The President of Ukraine, Viktor Yanukovych, has vowed to personally supervise Ukraine's war on piracy, not because of the listing by the USTR, but as part of a long-term strategy to nurture and grow innovative technology industries. The government believes a key factor in improving Ukraine's standing in this area is public awareness, with young people, in particular, set to be the target of a campaign to develop greater respect for IPR and to reduce tolerance of digital piracy. Meantime Gryshchenko said that in light of the efforts his nation is already making, he will ask the USTR to take Ukraine off the "301 List" six months from now.